The last time Wu-Tang played NYC, Raekwon and Ghostface were both absent from the show. 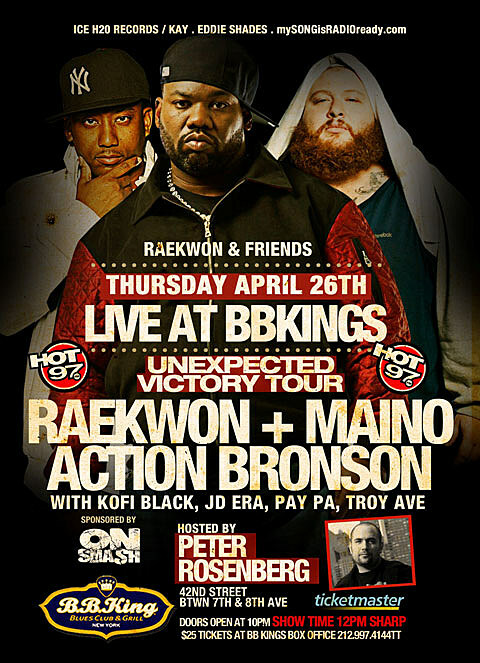 This disappointed some, but maybe they’ll be at least partly satisfied when Rae plays with Ghostface soundalike Action Bronson, which he’ll do Thursday (4/26) at BB Kings with Maino, Kofi Black, JD Era, Paypa, We Major, D. Chamberz and Troy Ave. Tickets are available. 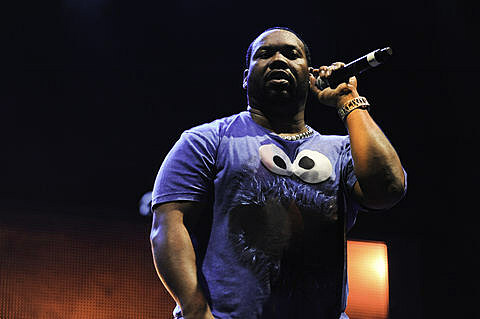 The show is an extension on Raekwon’s Unexpected Victory Tour which hit Chicago and SXSW and ended in Massachusetts last week. The show flier and a trailer for the show is below. Raekown and the actual Ghostface Killah will share a stage at NXNE in Toronto this June, which Action Bronson is also playing. GZA just played a NYC show with Bad Brains and has another coming up with Grupo Fantasma.